Whisky is a spirit loaded with stereotypes. While most of them have been thankfully diminished due to a surge in proper education about whisky being readily available, there is one particular stigma that still reigns — that single malts are always better than a blended whisky. This statement is lasting but utterly false, and one need only understand first the difference between a blend and single malt, as well as sample some of the finer blends on the market to understand why. Single malts are privileged in the public consciousness because they reflect the provenance of a particular place. The idea of terroir is something any consumer today is very much sold on because we buy into the marketing that single-origin equates to better quality. By definition, single malts are made from blending various whiskies produced only with malted barley from a single distillery, while blended whiskies, on the other hand, can be a mixture of whiskies produced from grain or malted barley from numerous distilleries. Where many hold fast to the stigma that single malt whiskies are superior because they bear the uniqueness of a particular distillery, rather than a brand, Sandy Hyslop, the Director of Blending and Inventory at the Chivas Brothers Group, believes that single malts and blended whiskies are two sides of the same coin, and each embodies a particular facet of the craft behind whisky that they express in special ways. Hyslop is the man the entire Chivas Brothers portfolio. Purchasing casks, setting recipes and maintaining the inventory to ensure the brand has enough to sell is just the very tip of the massive iceberg when it comes to his job scope. 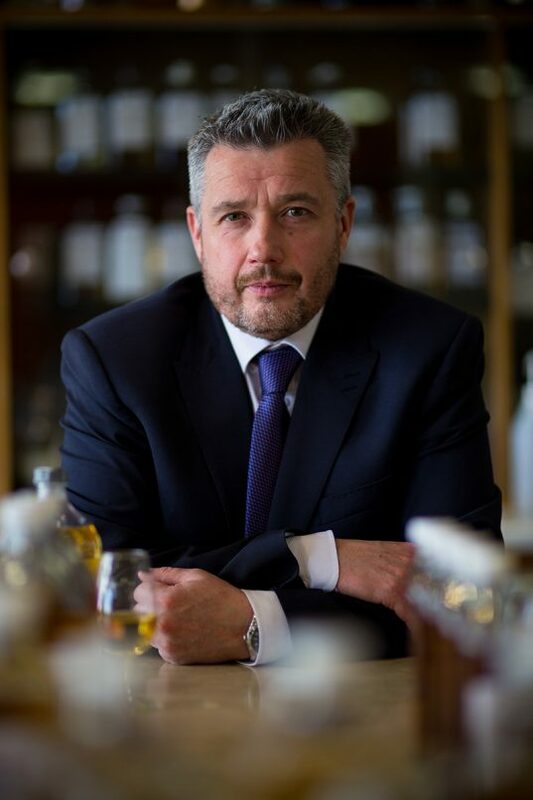 Still, out of all his roles, Hyslop being the master blender for the Chivas Brothers library of spirits makes him a definitive voice when it comes to dismantling the prevalent belief that single malts are better. His work with the latest Royal Salute Beach Polo Edition whisky embodies Hyslop’s earlier statement completely. 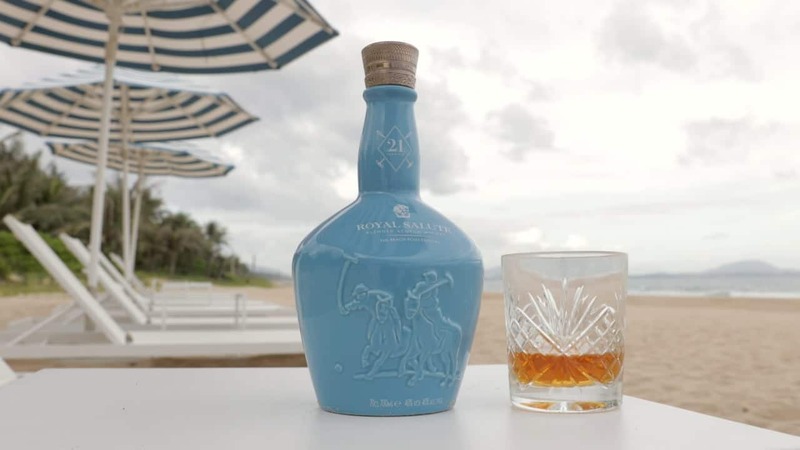 The Beach Polo Edition is the first peated whisky to enter the Royal Salute line, and the synchronicity between its backstory and the flavours the liquor delivers on the palate are a testament to why blended whiskies posses intense dimension. 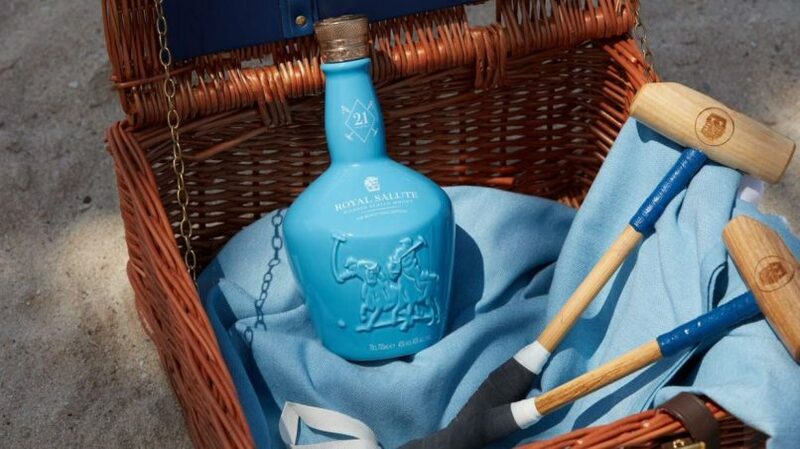 Royal Salute Beach Polo Edition. Made with a combination of whiskies, each no younger than 21 years old, the Beach Polo Edition delivers the taste of the beach on a warm night to the tongue. As esoteric as it sounds, the tasting notes do capture the sense of the seaside — soft salted peat notes complement heady orchard fruit notes typical to a Royal Salute whisky, with a spicy finish that lingers long after a sip. “Depth of flavour and a long finish are two things that a quality blended whisky will give you every single time,” adds Hyslop. He also emphasises how the act of blending itself is highly complex because one has to make sure that the notes complement, rather than contradict or overpower each other. Royal Salute, once again, becomes a firm example because no single whisky that goes into the blend is aged less than 21 years since its inception 1953, and foresight in terms of stock becomes crucial to its creation year on year. Blended whiskies are ultimately statements that carry the essence of multiple distilleries, casks and types of malt that ought to be celebrated for those qualities, rather than being pitted against single malt whiskies. 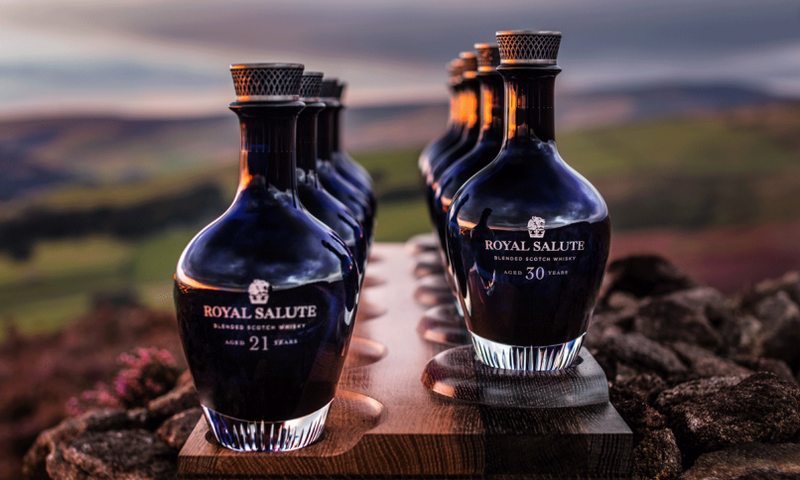 Royal Salute whiskies come in age statement expressions beyond 21 years old. Apt, if we do say so. Instead of turning your nose up at a blend the next time you try a dram, embrace its multiplicity within the glass instead.